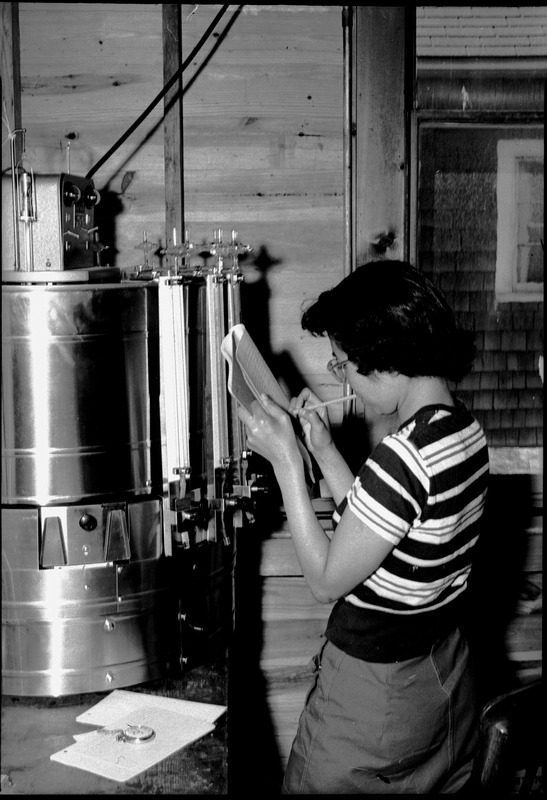 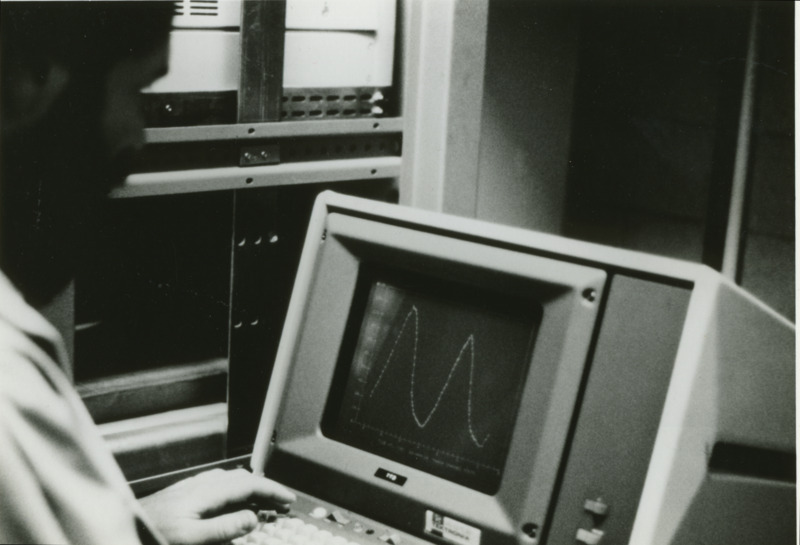 Woman taking notes in front of large circular Warburg apparatus. 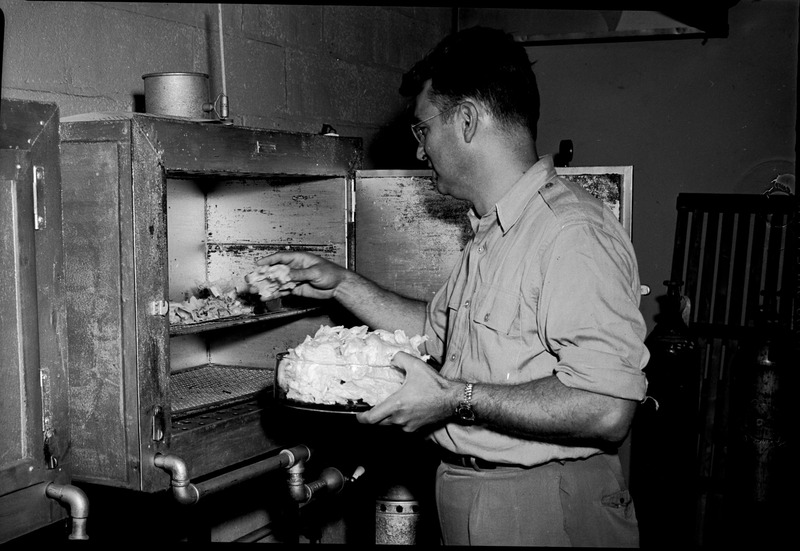 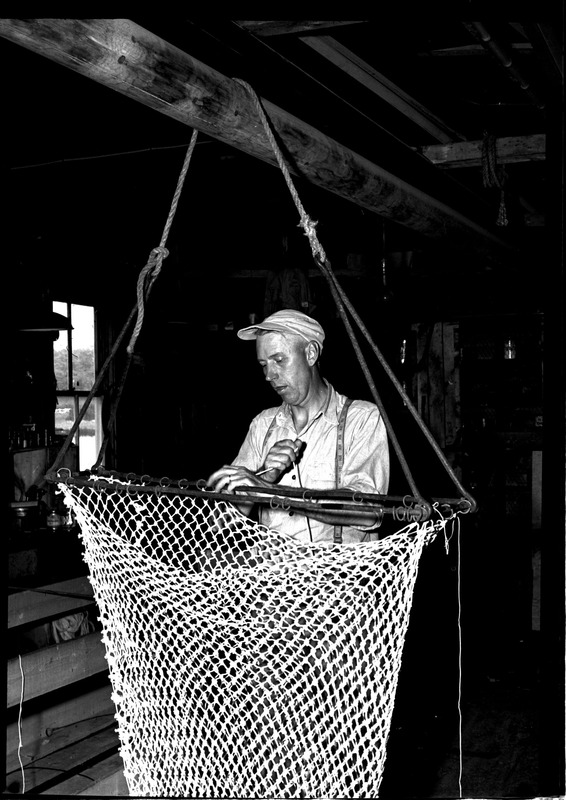 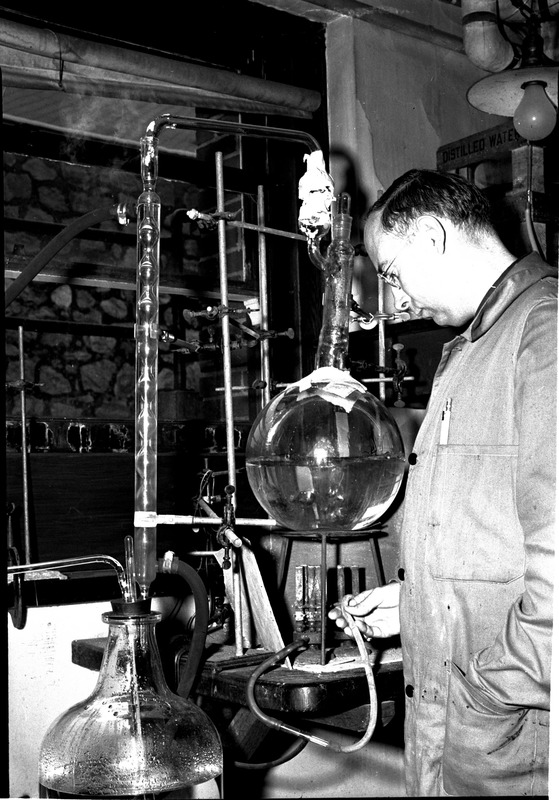 Man removing samples from scientific oven. 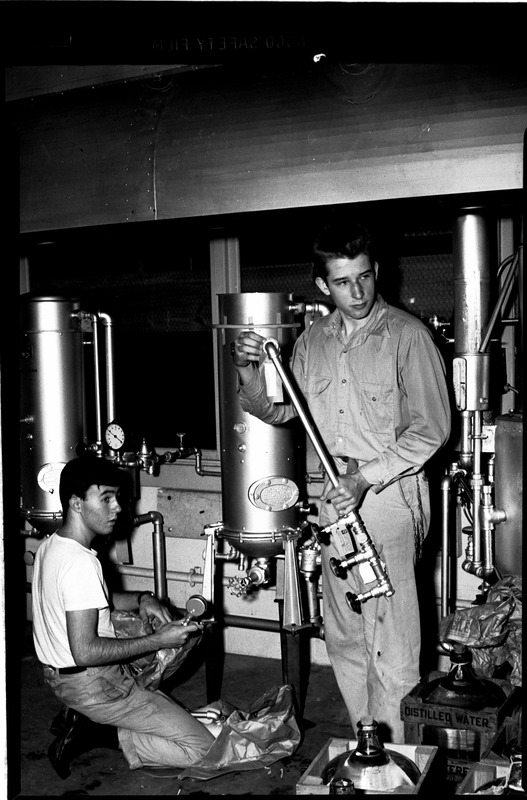 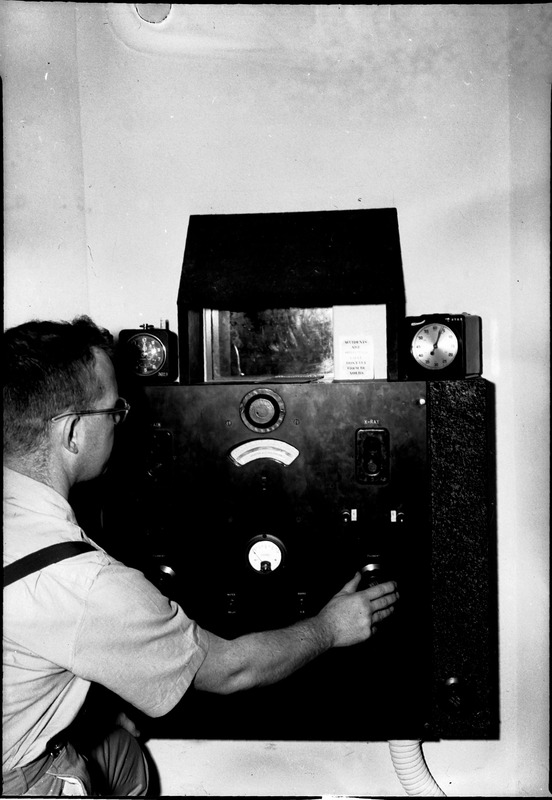 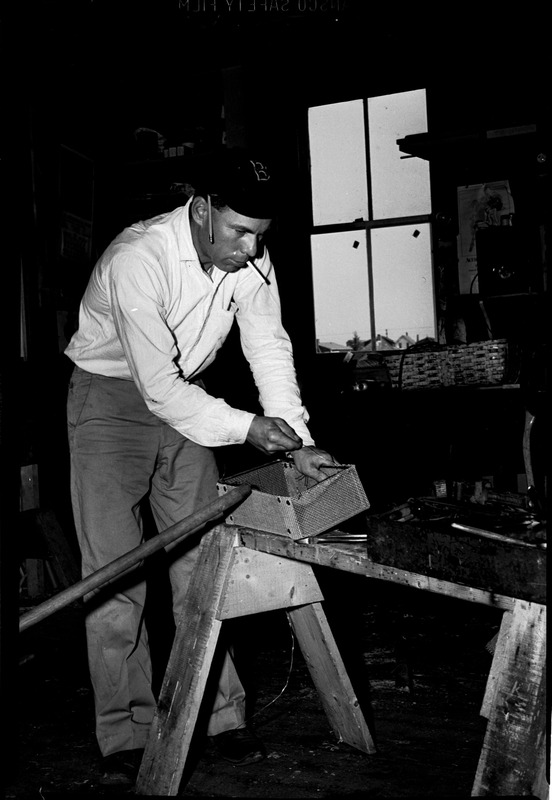 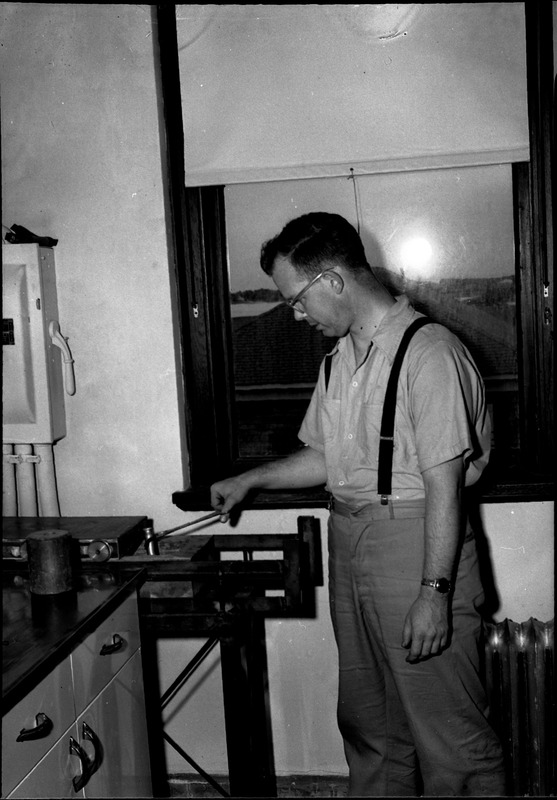 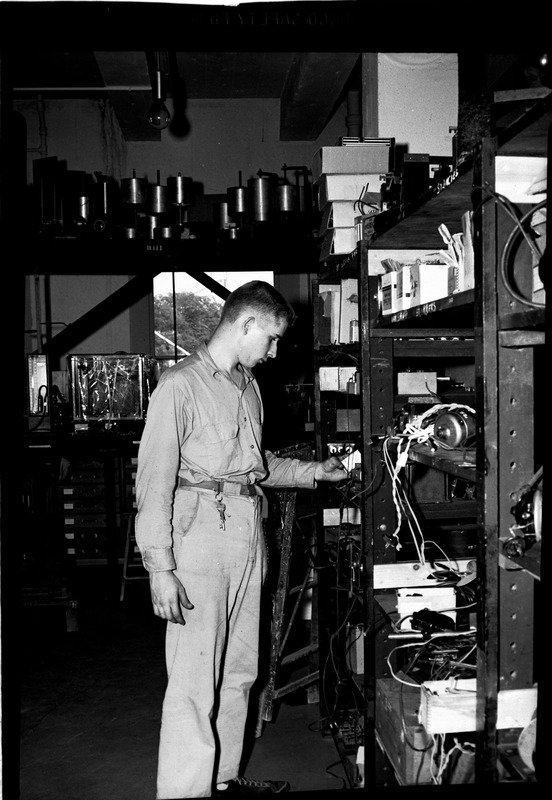 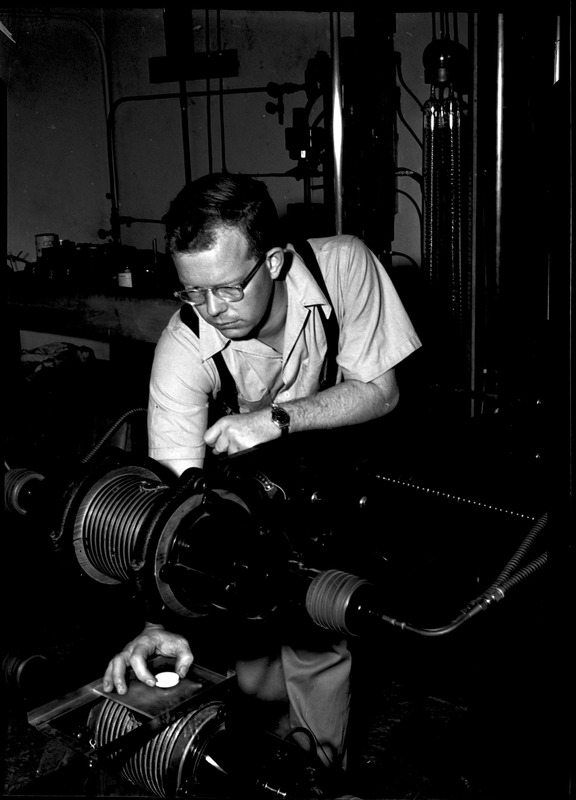 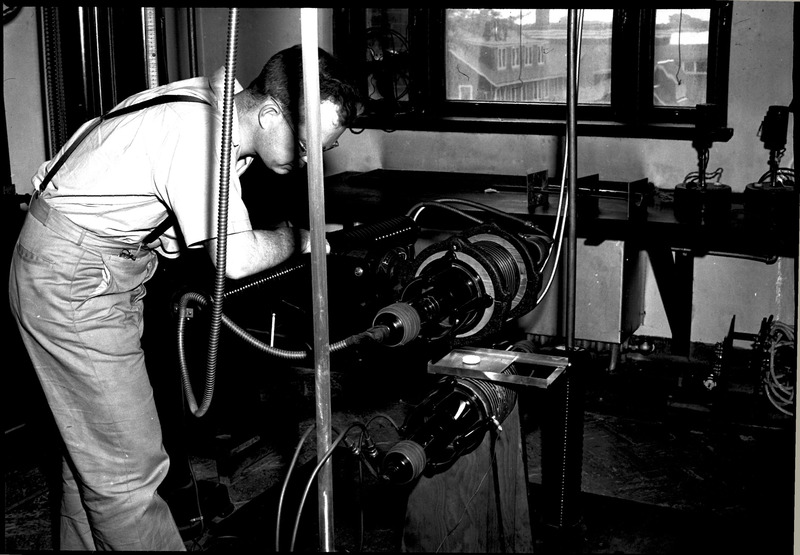 Man operating dials on x-ray machine. 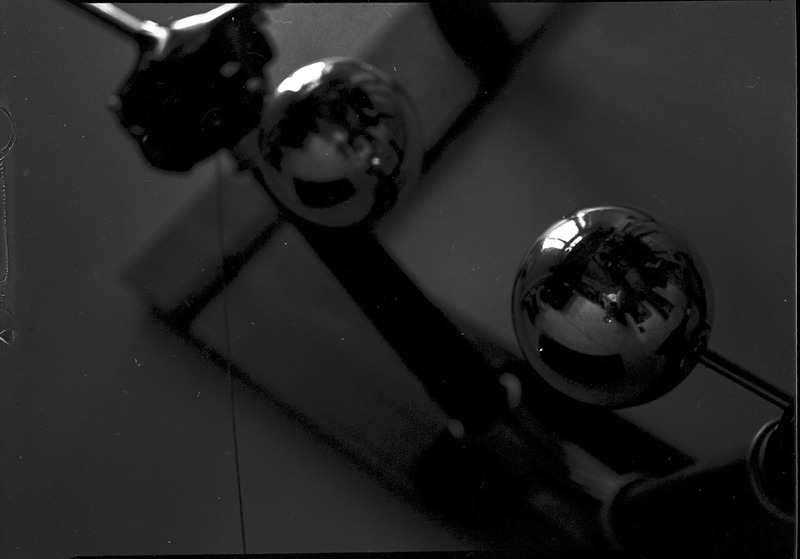 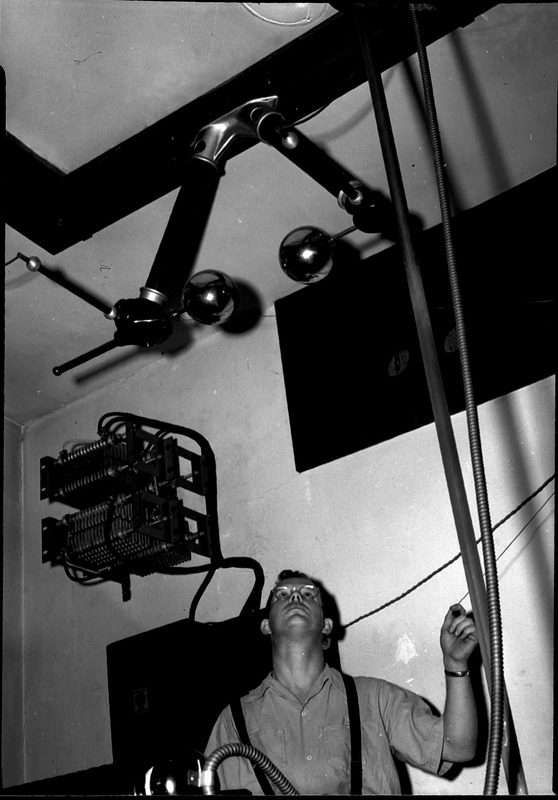 Man looking up at metal balls of x-ray machine. 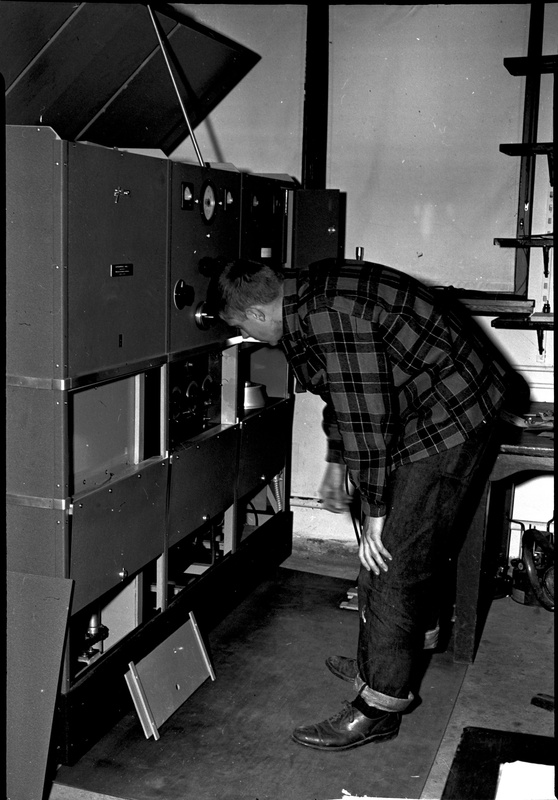 Man bending over x-ray machine. 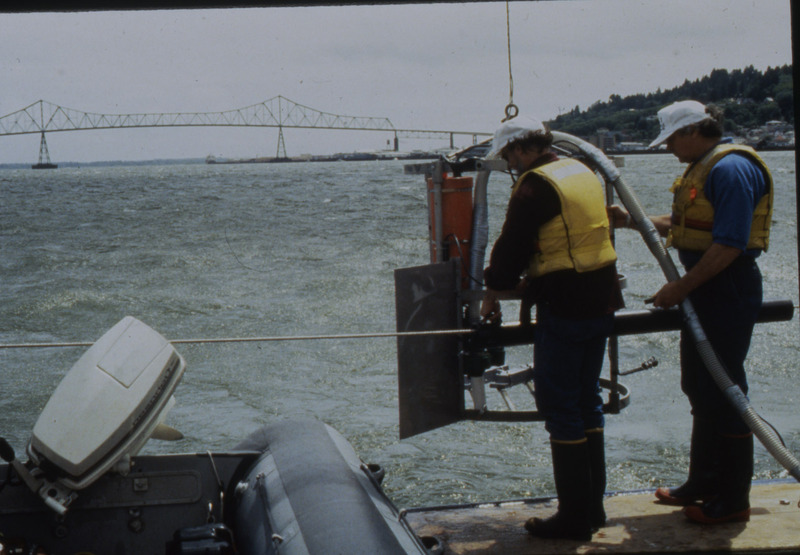 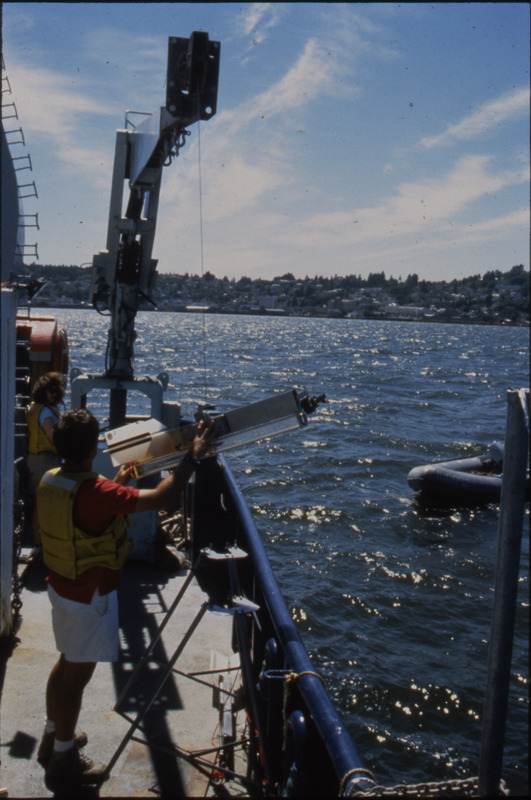 Slide reads- "Columbia River LMER, John Baross & Charles Simenstad setting up CTD-Pump Profiler in Estuary"
Slide reads- "Columbia River LMER, Deployment of CTD-Profiling Pump [unreadable] Package During ETM Sampling"
Slide reads- "Columbia River LMER, Deployment of Owen (sp?) 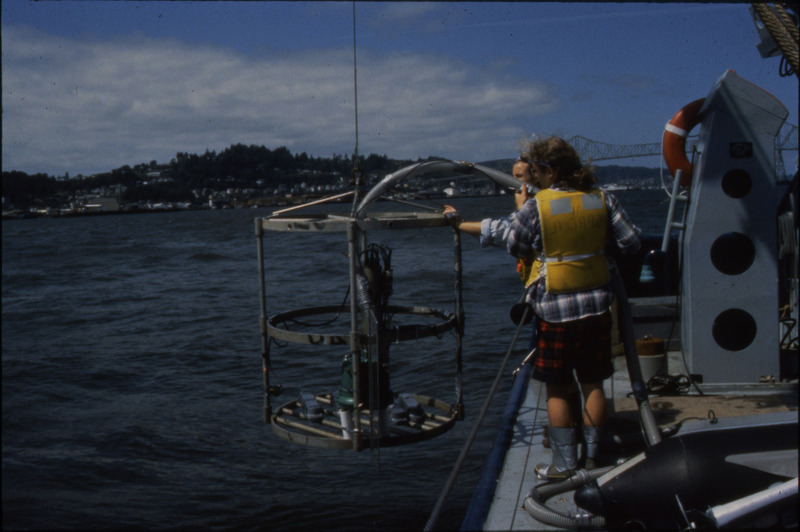 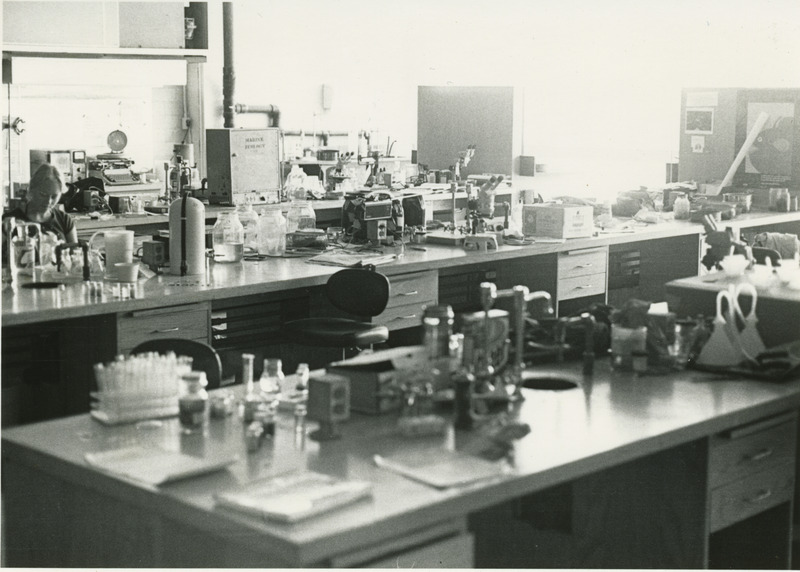 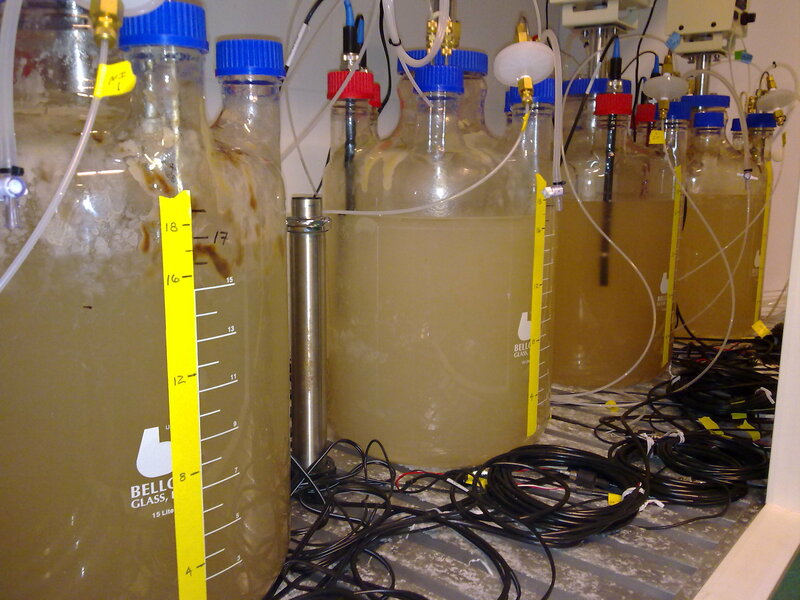 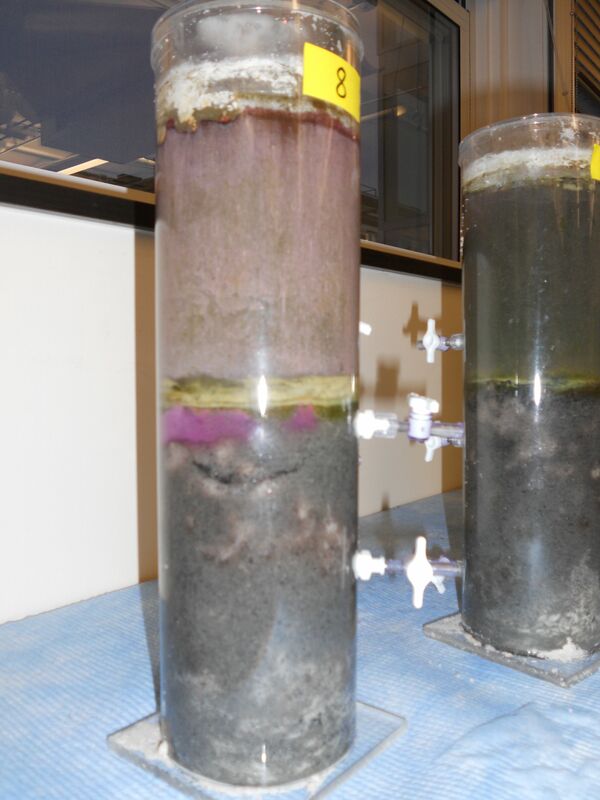 Tube; Sampling Aggregates"
Marine ecology lab at the Ecosystems Center of the Marine Biological Laboratory. 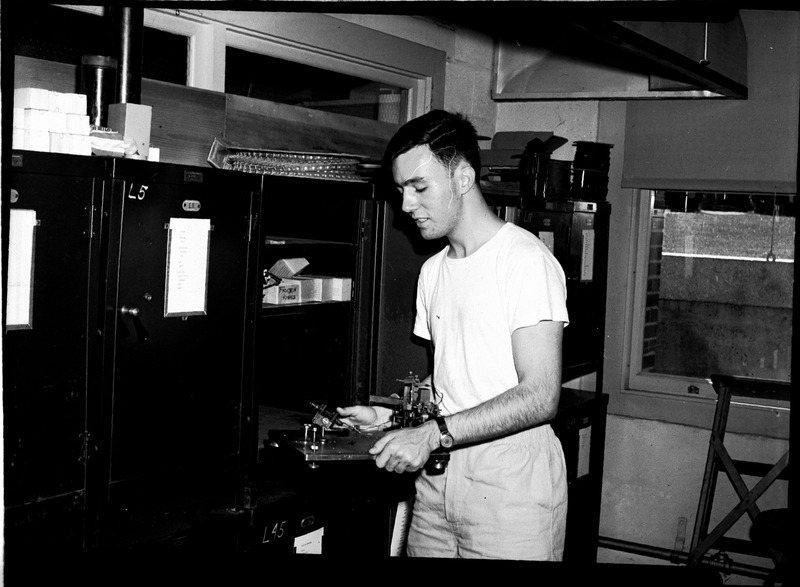 Researcher using a computer at the Ecosystems Center. 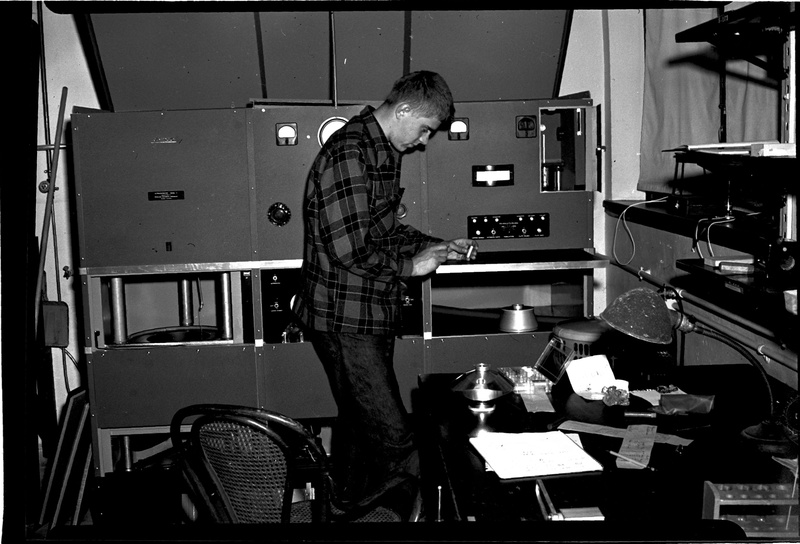 Data of photo unknown.